Merrill Award Committee Chair Aurora Marinescu (right) and Jason Smitherman (left) with two-time winner Nancy Stauffer. 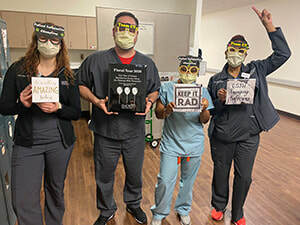 Friendly competition inspires Emory’s radiography technologists to make every radiograph they take their best one yet. 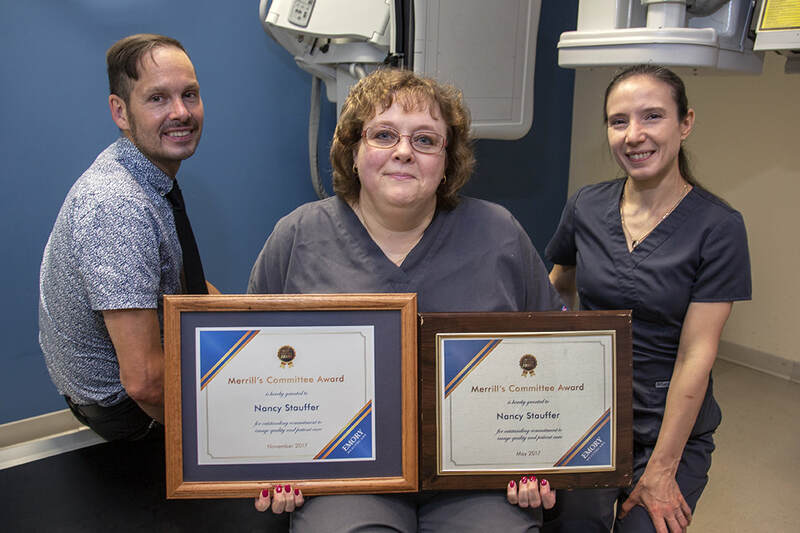 Each month, the best radiographs by rad techs across the Emory enterprise compete for the Merrill Award, a program created in 2012 and relaunched in 2017 by the Computed Radiography/Digital Radiography (CD/DR) Committee to celebrate excellence in radiography. Merrill Award Committee members, themselves rad techs, use a two-part scoring system to select each month’s winner. Monthly winners receive a $20 Amazon gift card and a feature in the department newsletter plus the chance to be named Merrill Award Winner of the Year and receive funding to attend the professional ​development workshop of their choice. “It really means a lot to know your peers think you do award-winning work,” says Aurora Marinescu, RT(R), who chairs the selection committee and who has worked tirelessly with the entire committee to grow the program since 2017. Merrill Award Committee: Aurora Marinescu (chair) and William Haralson (vice-chair) – Emory University Hospital; Michael Panas – Emory University Hospital Midtown; Veena Rajeevan – Winship Cancer Institute; Kelli Smith-Fore – Emory University Orthopaedic and Spine Hospital; Jason Smitherman – Emory Orthopaedics and Spine Center at Executive Park; and Wilbert Pope – Emory Saint Joseph’s Hospital. Harold started with Emory in 2009 as a patient transporter, responsible for physically moving patients through the hospital. Today, he is Emory Radiology’s clinical business manager for Emory University Hospital Midtown. Mentoring and staff development are essential at all levels (l-r): Greg Pennington, director for Emory University Hospital Radiology; Deb Smith, administrator for academic affairs, and Willie Arnold, Jr., administrator for clinic operations. 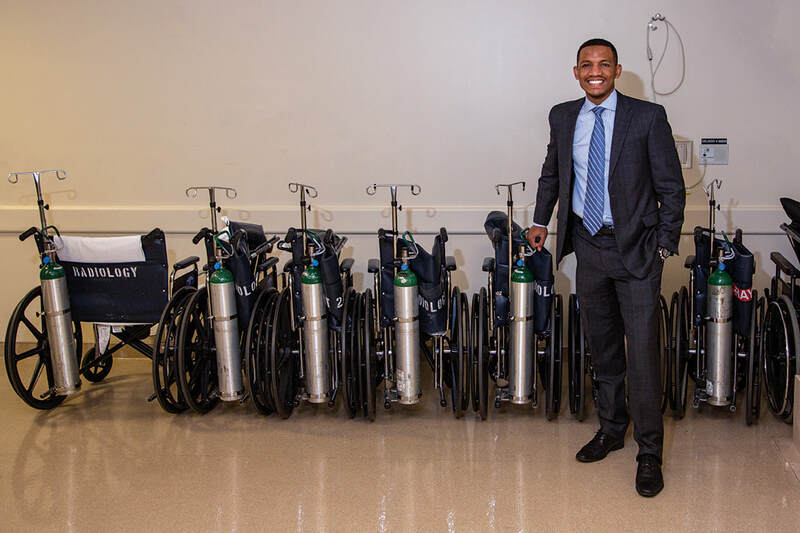 The impeccably dressed, quietly commanding lead instructor for the Service Excellence Institute (SEI) stunned two newly hired patient transporters by revealing his first job at Emory: patient transporter. In eight years—four with Emory Radiology--Harold Glenn, Jr., MBA, has become Emory Radiology’s service excellence expert, responsible not only for SEI, but also the Patient Family Advisory Council, patient satisfaction surveys, and Caught in the Act of Service Excellence awards. That’s in addition to his primary role as Emory Radiology’s clinical business manager at Emory University Hospital Midtown. ​The secret to his success? Service excellence, which is nurtured by mentoring. Harold’s now turning those insights into guidance for his colleagues, as well as for those who are looking up to him from where he started in 2009. “I always appreciate the reaction I get when I say I started as a transporter. People see you differently as a transporter, but I still feel the same, even though I got my MBA and wear a suit. The values I learned there are the same that help me now: make things better wherever you are and take care of people." Alumni and graduates from the Radiology Leadership Academy (RLA) stand proudly for a group photo. The program begins its 10th year in fall 2018. The goal of the RLA is to develop highly engaged leaders who will offer innovative guidance for the department, the institution, and the community. Since 2011, more than 1,300 Emory Radiology faculty and staff have completed SEI. These members of the Emory Saint Joseph's Hospital staff are prime examples of service excellence. Over four fun hours, SEI defines customers and explores what on-the-job engagement and accountability mean and look like. Participants learn (and take) The Pledge to service excellence and explore Emory Healthcare’s S.E.R.V.I.C.E. standards and Care Transformation strategies to enhance the patient and family experience. They also learn strategies for removing roadblocks. The instructors themselves are leaders in service excellence. Harold Glenn, Jr., clinical business manager, Laura Benson, assistant director of imaging services at Emory Saint Joseph’s Hospital, and Lucienne McKinney, CT screening services coordinator, live and breathe what they teach. During SEI, they take turns sharing insights and best practices for each topic. They also provide ample opportunities for discussion and even fun activities to practice skills. Dr. Jamlik-Omari Johnson, chief of radiology at Emory University Hospital Midtown, talks about safe zones. Emory Radiology, like Emory University, embraces, understands, and celebrates the rich dimensions of diversity in its people. Each individual is unique and valued because of their differences across dimensions such as race, ethnicity, gender, sexual orientation, socioeconomic status, age, physical abilities, religious beliefs, political beliefs or other ideologies, global locations, and cultures. The Emory Radiology Diversity and Inclusion Committee leverages broad representation from faculty, clinical and administrative staff, and trainees to ensure different ideas, perspectives, and values can be expressed and contributed to enrich the department’s work. In January 2018, the committee launched a new web-based Diversity and Inclusion Toolkit. The toolkit provides faculty, staff, and trainees a wealth of resources designed to ensure Emory Radiology is a welcoming and supportive environment for all people. It also explains the basic tenets of diversity, inclusion, and equity, and it provides concise definitions of other key terms such as unconscious bias, microaggression, and white privilege. 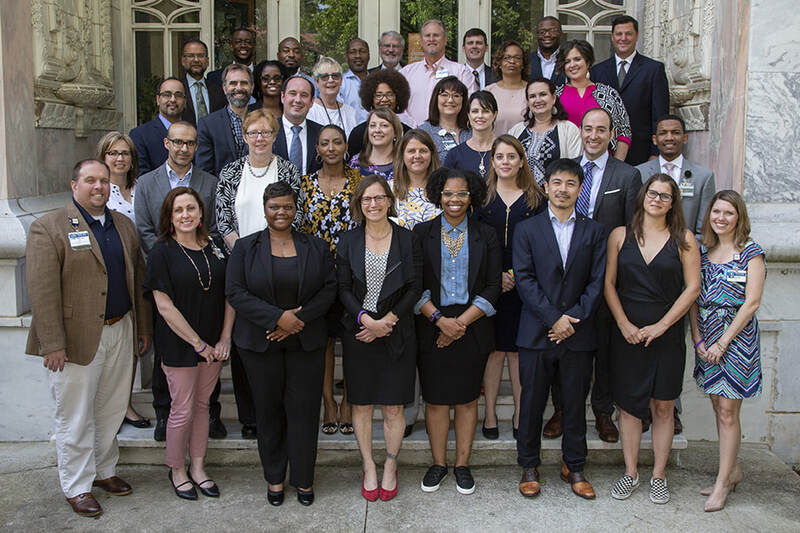 Work is underway to expand diversity training opportunities across the department in partnership with Emory University’s Office of Equity and Inclusion.